Painted this chap up over the holiday, had the model forever, so it may be that I’m finally moving forward on this huge pile of space wolf painting I’ve got stacked up. I shot video of each stage of this after the basecoat and am in the process of editing them into chunks so that I can share them with you, hopefully they will have value, I’m still new at the whole video thing, so It’s going to take me a while to get to a point where they are smooth, well lit, concise and useful, I hope you will bear with me while I experiment and sort this out. Your feedback is going to be invaluable. I’ll try to keep them short as possible, so some speeding up of time, and such may be necessary, I may also need to record additional voice, but I'll find a way. For now, enjoy the Land Raider. I'll make sure I view your airbrush one before I get to grips with mine! Landraider looks great, I still have one of these laying about to be done! That is a truly great job. Your stuff is always nice, but this one is a step up fro sure! Also, if you are going to record a voice for the videos use the voice memo function on your cell phone and email it to yourself in wav format and you should be able to edit with that. Most phones today have decent enough mics and if you can find a small quite room without too much echo you can record in there an get a decent quality voice over done. Thanks Zab, for someone whose put a lot of effort into developing as a painter to give me a nod means much, on the video note, I think the audio came out okay, and I actually realised my xbox headset works on my PC so if i need to i have a decent voice mic in that. Thanks muse, I was a bit worried about a mix of NMM and "realistic" weathing not working but It seems to have hung together in the end. You don't really need to clean airbrushes. Just buy new insides. Melta? what happened to all the lances? Love your work mate - this has come up fantastically - love the stripes on the gun guards and the black insets on the hull - saving that idea to my archive for later use when I do my Raiders. thanks muppet, it's an interesting model to try and find ways to paint, probly why it took me so long to get round to. in other news that might please you, I today described a colleague as a "frothing muppet" - such a good term it's infiltrated my psyche. 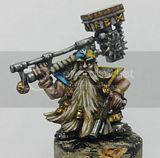 just discovered this blog and have to say ur paintjobs are superb! can i ask what colours u have used for the basecoat ? Hey there, I think I used VMC colours, deep sea green, french mirage blue and wolf grey - the main tone is the mirage blue. I can check as I made about 4 youtube videos of the paint on this chap. many thx for the quick reply mate. ive noticed that there are some areas of the basecoat that are lighter than others, is this from the wolf grey or do u undercoat black and in some areas white so that the french blue shows up lighter in some areas?